I made this 2-3 years ago… I don’t remember exactly when. This thing is sturdy! 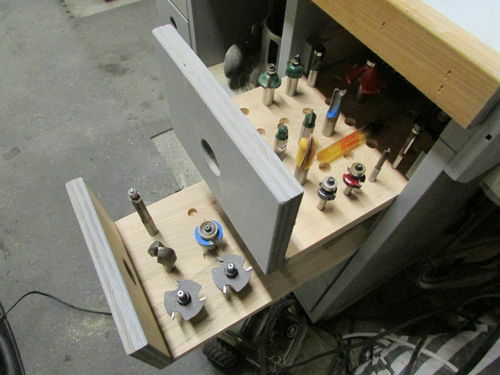 I did a torsion box (sort of) for the base and built up from there to hold the two table saws and the router table on the end. It’s 3/4” birch ply for all of the construction. It’s painted grey to match the two Delta contractors table saws that it carries. The idea of holding two saws came because I had two! The one in the middle was my grandpa’s saw. That was my first saw and it has sentimental value to me. 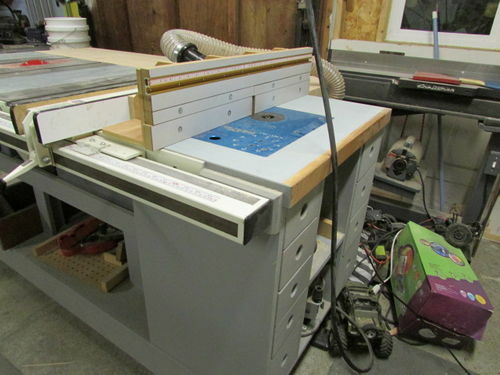 I works well but I have struggled with the blade alignment and couldn’t get it worked out. It’s one of those puzzles where the solution is hidden out of my sight. The saw on the left is the main saw. I use it pretty much for everything. I hope to get them both set up so the middle saw is used with a sled and the left one is for ripping. I just haven’t gotten there yet. Some of the features that I included are a knee bump paddle to turn the saw off. I don’t have to think about turning it off, I just lift the knee slightly and bump the paddle and it’s winding down. I have started to add some out feed support to it but got to a point where I moved on to other projects and this is where it sits now. The support that is on it so far is adequate for most of what I cut but the longer stuff still needs some help. I will add to it later and paint it to match the rest of the base. I have a power cord run into the outlets and switch that provide on-board power. One outlet is wired to the switch and the others are “hot” all the time. 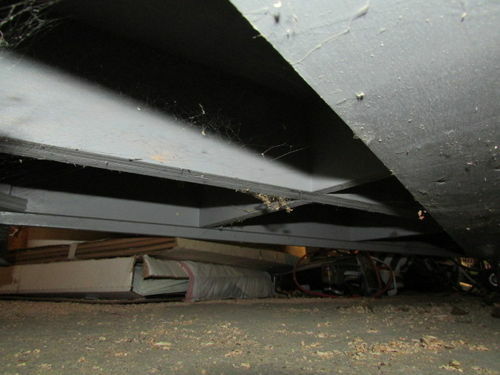 There is open storage underneath the saws for whatever. 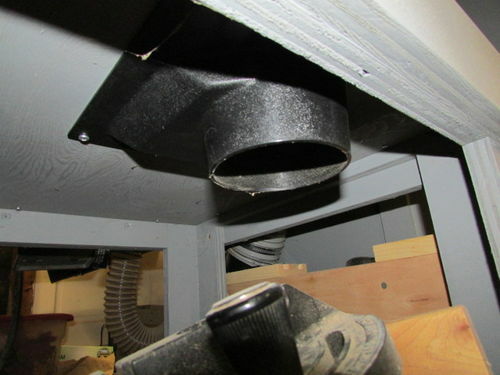 Usually just dust collects there on the miter gauges, dado and things! 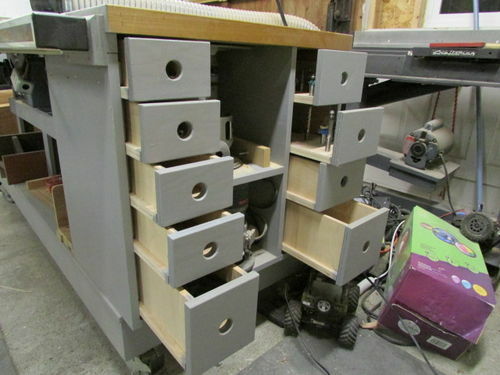 The router table end sports some simple but sturdy drawers that house extra router stuff and bits. There is also dust collection for the router and the fence. There is a Y with a quick connect for the router table. 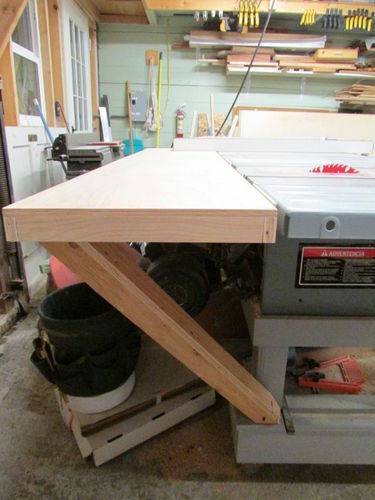 The router fence is clamped to the saw fence but I want to do something different for that. I will get to it someday! 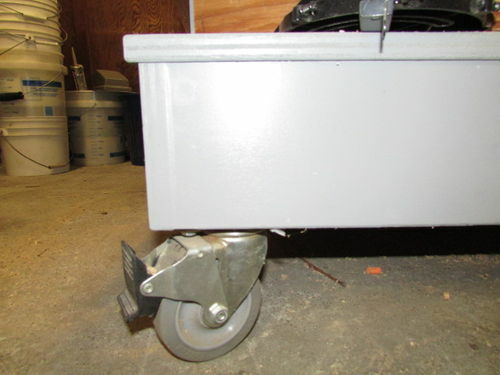 The base has some heavy duty casters that lock down. They handle all the weight with ease! I have a good foundation with this base and will allow me to add on more features as I go! That is pretty cool. 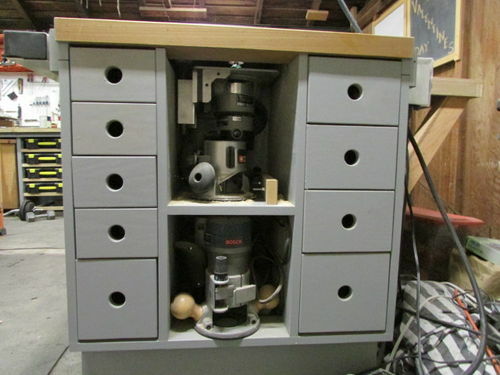 I knew a cabinet maker that had a similar setup, except he left a dado stack, set to a common width he used often in one of them. It seemed like a handy setup. Hot setup. Looks like 2 landing strips. That is a great Work Center. 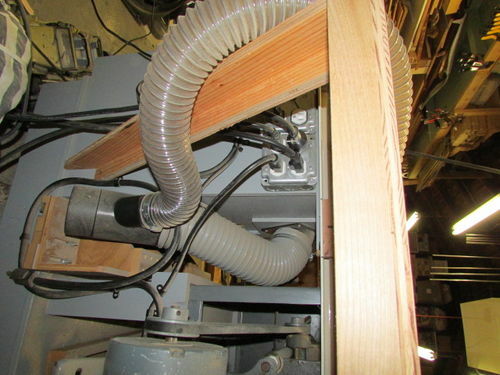 Mobility is a Key factor for those long rips and cross cutting wide sheet goods in a normal size garage woodshop. Thanks for sharing. – Grandpa Len. Thanks guys for the compliments! It helps to keep me going. Two table saws are better then one ,saves a lot of back and for with set up and blade changes . Nice and compact work centre . Brett that has to be one of the coolest things I have seen on this site! You guys are just too clever! You gave me some good (well that remains to be seen) ideas for a couple of shop projects I need to build.